STEM (Science, Technology, Engineering and Math) education is vital to our future—the future of our country, our region and our children. The Museum of Discovery and Science is dedicated to improving the level of STEM education in our community from early education up through high school and college. In 2014, the Museum established The Salah Foundation STEM Center for Education and Career Development dedicated to advancing public engagement in STEM. 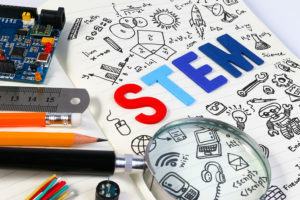 The goals of The Salah Foundation STEM Center are to prepare students for success by raising the level of STEM education, instruction and career interest, and to create a science-literate community by increasing awareness of and engagement in STEM education. 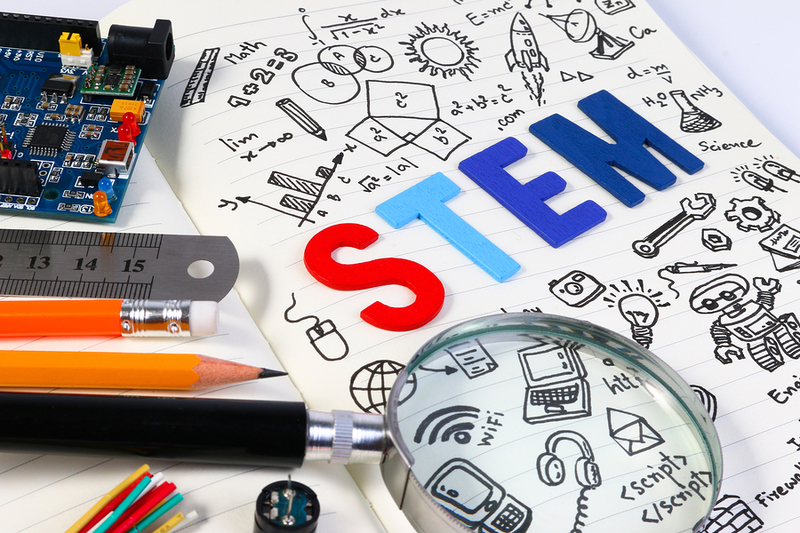 Curriculum-based programs that advance understanding of STEM through real world applications. Internships, mentorships, partnerships and other opportunities for youth to explore STEM careers. STEM educator training to enhance the classroom experience. Opportunities for STEM engagement including volunteerism, public forums and citizen action. Collaboration with universities, schools and educational associations. This exciting two-year internship exposes high school students to careers in computer science and engineering while being introduced to coding. Students receive volunteer service hours, college credit, and a stipend while advancing knowledge in STEM education. Learn more. Supported by United Way of Broward County. The Aviation Academy is a five-week internship program through a partnership with JetBlue and Sikorski that was specifically created for 10th and 11th graders. This program reinforces the importance of STEM in aviation, and exposes participants to possible career paths after high school. Learn more. Supported by Jet Blue. Discovering Success is an Initiative to increase high school graduation rates through STEM education. The Museum has partnered with two local middle schools to develop an extended learning experience for ‘bubble’ students defined as those with low level 3/high level 2 FCAT scores in reading and math, in tandem with reported behavioral concerns. The initiative serves these students through a personalized environment, and also incorporates their parents/families through workshops and significant child/family incentives. Supported by The Mary N. Porter Community Impact Fund through the Broward Community Foundation. In January 2017, the Museum partnered with early childhood learning centers to launch a new outreach program series for children ages 2 through 5 using the Museum mascot, Joey the Otter. Museum educators collaborate with the education coordinator at the partner sites to coordinate outreach science curriculum for four half-day programs to augment the learning center’s curriculum that includes museum field trip for children to meet Joey the Otter and enjoy special presentations and labs. Supported by PNC Bank. The Museum partners with FAU’s SeaTech to provide a week-long exploration of coastal marine and coral reef ecosystems for middle school students. Campers conduct estuary and barrier island field work and tour FAU’s ocean engineering and electronics labs, submarine, and flow tunnel. They also learn about sea turtles, marine science careers, and design, build, and race a solar-powered boat. Learn more. During the course of the 2016/2017 school year, 50 students from Deerfield Beach Middle School participated in an innovative Museum program, Science in Action: An Applied Learning STEM Program Initiative. Students learned the program and exhibits design process by studying the Science Park and the physical science concepts in its exhibits. As part of this program, students created a Student Activity Guide for the Science Park. 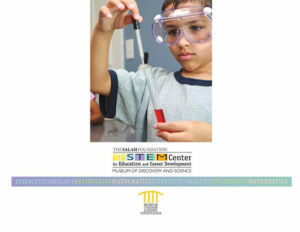 This guide teaches other student visitors about physical science through various lessons and activities. Supported by the School Board of Broward County. The Museum’s Stem Home School program for grades 3 – 5 was created as an education resource for the South Florida home school community to inspire home school students to study a topic, give them further insights into their current studies, or provide closure to a completed unit. The program includes science classes and exhibits exploration. Learn more. The TIL Program is a paid internship and mentorship program for young adults aging out of foster care. This program gives youth an opportunity to develop basic job skills, discover career aptitudes and become exposed to different career paths to help them achieve self-sufficiency. Supported by The Children’s Services Council of Broward County, The Jim Moran Foundation, and The Jones Family Foundation.